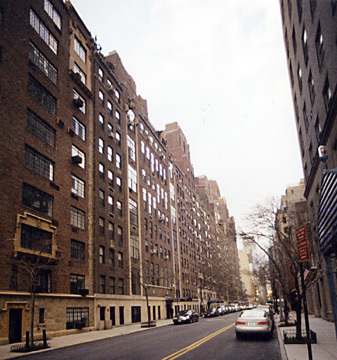 This development of five buildings was designed by Emery Roth for Bing & Bing, one of the city's premier builders of upper-middle-class housing in the 1920's and 1930's. The richly textured reddish salmon brick facades and sparse but good Art Deco detailing added significantly to the ambiance of the "Beekman Place" area. 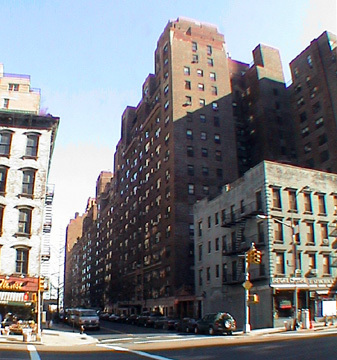 The four 10-story, mid-block buildings on 52nd Street are similar in height and general façade treatment, but each is slightly different. The effect is quite massive and almost fortress-like, particularly since they are an imposing prelude to River House (see The City Review article), perhaps the city's most glamorous apartment tower, at the river end of the street. The apartments, surprisingly, are relatively modest and do not contain many rooms, but the living rooms at 424 East 52nd Street are one-and-half-stories high and those at 400 East 52nd Street are sunken. 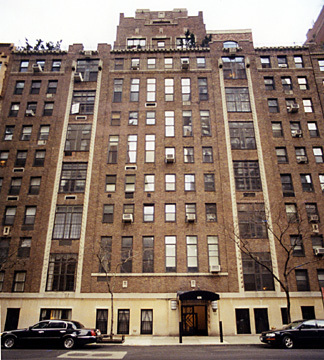 The first building to be completed was 434 East 52nd Street in 1928. 424 East 52nd Street and 433 East 51st Street were completed in 1930 and 400, a 462-unit building, and 414 East 52nd Street were completed in 1931. The 52nd Street buildings, Steven Ruttenbaum observed in his book, "Mansions In The Sky, The Skyscraper Palazzi of Emery Roth," Balsam Press, Inc., 1986, are each "embellished with fanciful iron loggias and window grilles executed in unique Art Deco motifs with voluptuous Art Deco terra-cotta trim.The Southgate complex is enlivened with highly textured, three-dimensional forms that provide much in the way of visual delight. It was unusual for one architect to be given the opportunity to mold almost an entire side street into a unified architectural composition, and Roth responded to the challenge by creating Manhattan's most distinctive residential Art Deco ensemble." The Southgate complex, originally a rental project but subsequently converted to cooperatives, was preceded by the larger Tudor City complex several blocks to the south and a few other similar projects exist in the city, but are rare.